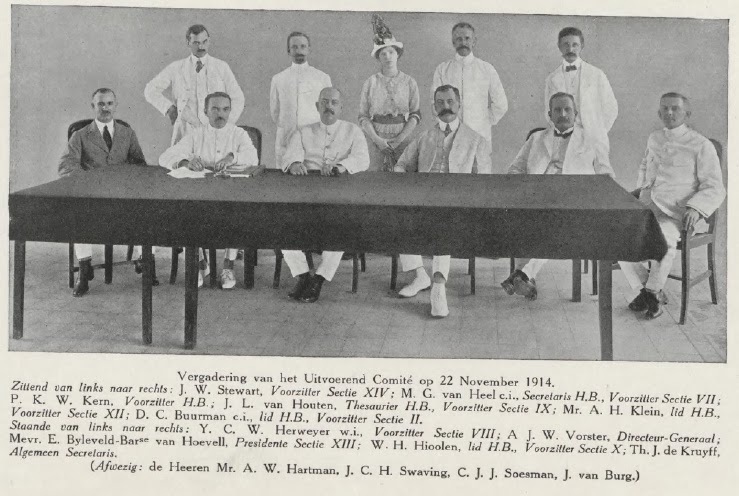 The Committee of Koloniale Tetoonstelling 1914 in Semarang, taken from the Gedenkbook of Koloniale Tetoonstelling. Mevr. E Byleveld Baronese van Hoevel, was the only women in the committee, standing in the back, dead center. My mobile Phone rang on that silent noon, strangers talks in English and I felt very upset. She explain that She just arrived in Semarang and got my phone number from my Blog. Her name was Ellen van Os, coming from Netherlands to seek an information about Her great-grandma and also Her relatives that buried here, in Semarang. Her Great-Grandma was a victims during Japanese occupation, died in Interneringskamp (eng: internment camp) somewhere in Semarang. Then we set a meeting on Ereveld Kalibanteng, where most of the victims during the Japanese occupation as well during Indonesia Revolution buried. 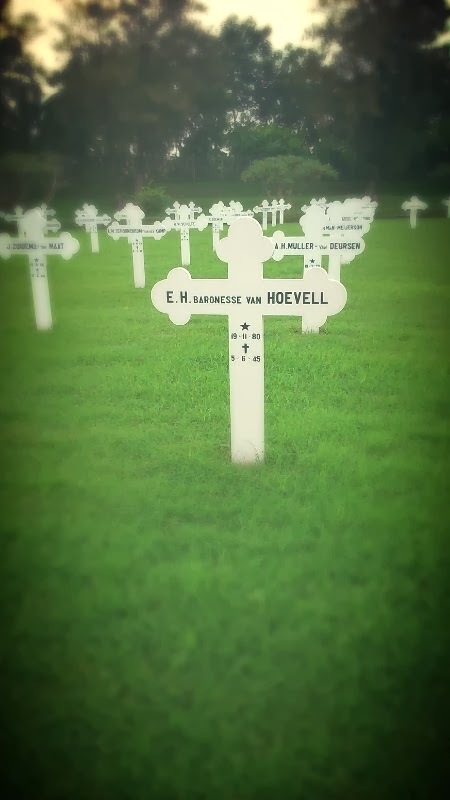 This was my first time coming to Ereveld, or literally it means “field of honour”. A cemeteries managed by Oorlogsgraven Stichting (OGS) to give a respect for those victims during the Japanese occupation and also during the Indonesia Revolution period. Its not easy to visiting here as the Indonesian, because of its already belongs to the land of Netherlands. Yap, besides their Embassy and Consulates, this Ereveld that also existed in Jakarta, Bandung and Surabaya, its belongs to the Kingdom of Netherlands extra teritories. Thus, there I found the portrait of Prins Willem-Alexander and Queen Maxima, not my President, Susilo Bambang Yudhoyono, LoL! I met Ellen and also Olivier, they come here in Semarang for the first time, after got holidays in Bali several days. We explore through the gravestone lines in Ereveld to found the Ellen Great-Grandma tombs. Then She show us where is it, then She start to explain how is Her Great-Grandma is, something that I couldnt believed! Her Great-Grandma was one’s of the committee of Koloniale Tetoonstelling 1914 in Semarang, the only women in the committee! Wow, what an odd! Because of I have Her Great-Grandma photos in my files about this Koloniale Tetoonsttelling. Van Hoevel giving Her lectures. Her name was E. H. Baronese van Hoevel, a word “Baronese” showed that She comes from the noble families. Ellen told me, if van Hoevel have a good relation with Austro-Hungarian Archduke Franz Ferdinand, and once He visiting va Hoevel residences somewhere in Sulawesi. Van Hoevel have a lots of collection of shell, and its displayed on a several cupboard. This were really impressed Franz Ferdinand, thus He wanna bought it, and Franz Ferdinand owned one of that cupboard filled with Van Hoevel collection of Shell. Nowadays, that cupboard being displayed in Museum and one another is on the Ellens house. Couple months later after Franz Ferdinand visiting Van Hoevel in Sulawesi, He died in Sarajevo, killed by a Serbian extrimist, and the World War I begun. Van Hoevel was also belongs to the Women Emancipation movement. 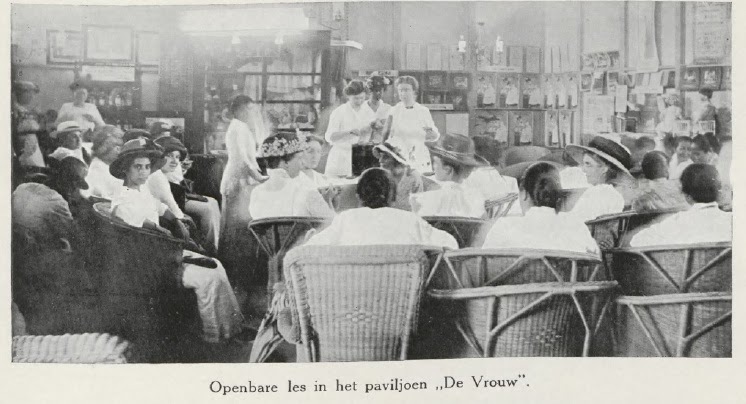 She initiated the Pavilions for women named De Vrouw during the Koloniale Tetoonstelling, displayed the several activities belongs to woman emancipation. But during the Japanese occupation, everythings got changed. Van Hoevel sent into Internment camp, just like another Eurasians on that time. Also together with Her grand-daughter. She Died there, likely caused of the bad condition in the Camp, but another sad stories coming from Her grand-daughter. When we examines Her tomb, several tomb have a same date of death, then Ellen told me, “Could be, She has been executed”. For what? Both of us dont know but once again, there’s something that u couldnt immagines happend during the war. This is a very interesting article. Thanks for sharing! 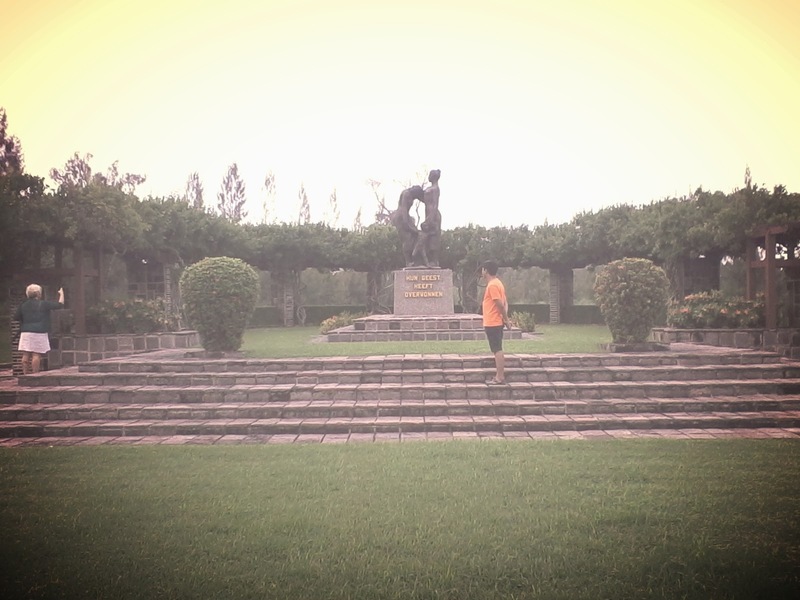 By the way, I have been to the Ereveld Kalibanteng. Sadly, I had no idea about this woman you're talking about back then.